Lighting equipment and communications supplies used during emergencies and/or disaster situations can save lives. Many natural disasters including earthquakes, tornadoes and hurricanes can leave victims in the dark, literally. Often power lines and grids are severely damaged during natural disasters and it can take days and even weeks before power is restored. During the hectic few hours immediately following a disaster it is important to have reliable lighting and communication products on hand to safely navigate out of harms way and to let rescue teams know your location. We carry a tremendous selection of emergency lighting and communication products to stabilize your situation and get word out that you need help. 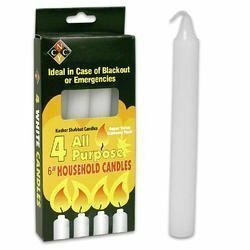 Any emergency kit needs to have supplies that will provide light when it is dark and keep up contact with news and rescue teams. 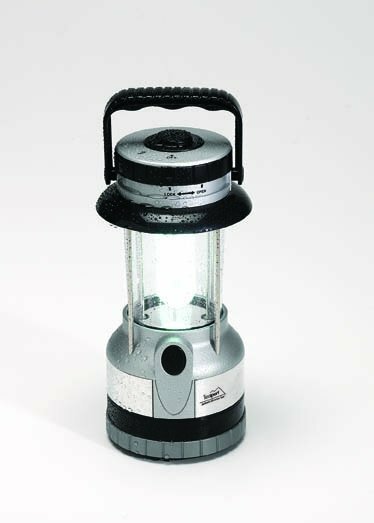 U-Tube floating emergency lantern is perfect for emergencies, disasters, camping, and more. Solid state circuitry preserves battery life. Snaplight is a one-time use light source for a safe, practical light source. 10 lightsticks per pack. 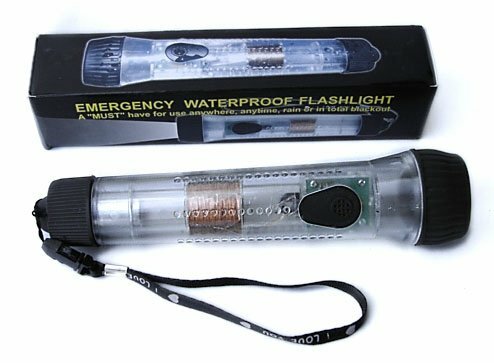 Ideal for the outdoors and emergencies, this LED flashlight provides 5 minutes of light for just 30 seconds of shaking. No batteries! Yellow 2D-cell Industrial Flashlight with Krypton Bulb, heavy-duty.